During Cinedit Pictures last demo featuring a full Ari Alexa post-production workflow at Freestudios we noticed that there was a timecode issue when conforming for colorgrading. After transferring ProRes4:4:4:4 from the camera to a 32 TB EVO San, we decided to directly edit some ProRes4:4:4:4 content in Final Cut Pro. After performing a few cuts we exported and xml that would be open in MIST by Marquise Technologies. After conforming the footage in Mist we noticed that the Timecode was off and that not by a few frames. Right away we decided to contact Marquise Technologies' Head Engineer who advised us to use the recorded time code and not the source time code. And voila. After that simple tweak our workflow was just flawless. What is an A.I.C. Director of Photography? We are very happy and proud to have Director of Photography Paolo Ferrari A.I.C. deliver the "hands on camera" part of that workshop. First things first. What is an A.I.C. member? And what does that mean? After presenting my first feature film "Life Remote Control" at the world acclaimed "Cannes Film Festival" in 2006 I was lucky enough to have Academy Award winner and producer John Daly notice my work. Right away he took me under his wing and decided to show me how Hollywood works. He also explained me his rise when he received many Academy Awards with films he produced such as The Terminator, Platoon and The Last Emperor. He also described his fall (when you make no movies for a while). 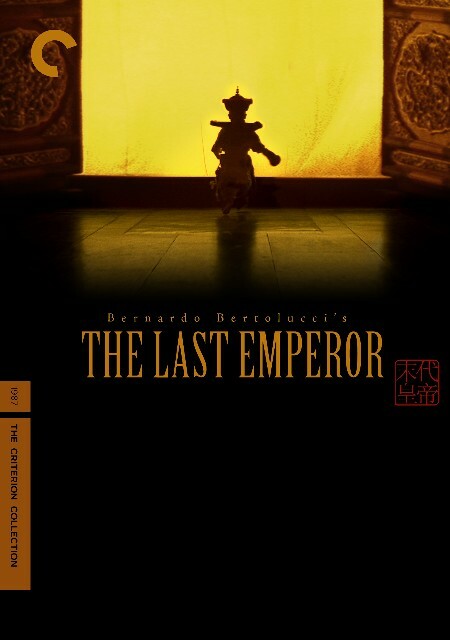 When he produced The Last Emperor in 1987 for director Bernardo Bertolucci, he hired the best director of photography: Vittorio Storaro A.I.C. The last three letters Vittorio are probably the only part of his name that matters to producers. Indeed, A.I.C. stands for Associazione Italiana Autori della Fotografia Cinematografica. This association englobes the best cinematographers in the world that can achieve any look a director would like to have on any given film. And usually, to get in such a family, one is invited to apply or to join. However, rules can be broken. About a year ago upon my return from Los Angeles to Europe, I was seeking a local director of photography with whom I could start to work with. Luckily, as I always had contacts with Vittorio (through John Daly) I kindly asked him if he could recommend a D.P. (Director of Photography). Right away he told me I should get a hold of his long time assistant and A.I.C. member Paolo Ferrari A.I.C. who has completed many features shot on 35mm and who also currently teaches cinematography at Rome's FIlm School in Italy. If you would like to personally meet Paolo Ferrari A.I.C. 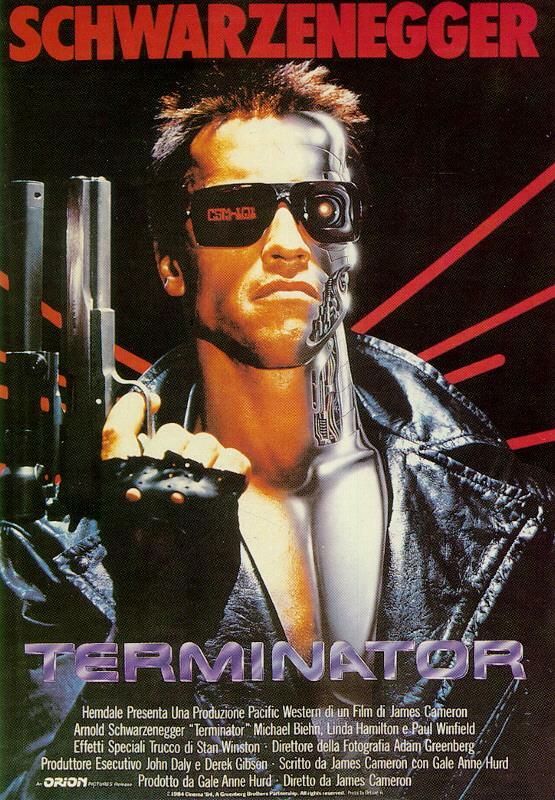 he can train you in Zurich on January 20th 2011 during our Alexa Digital Cinema Workshop. 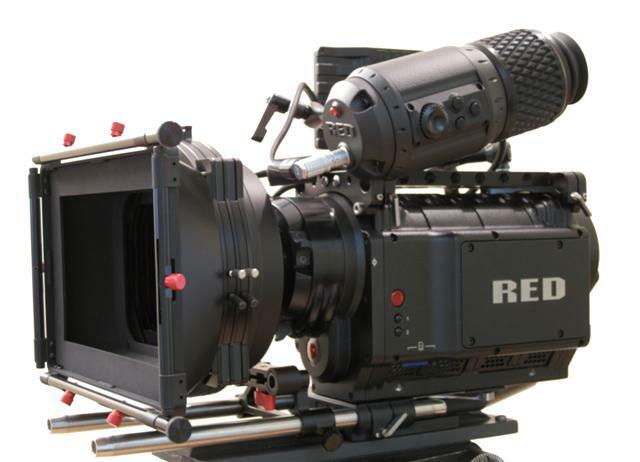 users tend to give up on the Alexa 4:4:4:4 recording capabilities by utilizing a red camera instead. The argument I keep hearing is the ProRes 4:4:4:4 does not handle compositing (chromakey) as good as Red raw files. Knowing that Apple ProRes 4:4:4:4 (called 4 by 4) was created and designed especially for that purpose, that is compositing since its last 4 in the 4:4:4:4 codec represents the alpha channel, I am very skeptical and would like to be very careful about the answer I would give since the response many directors of photography will give you is: "The Red can record in 4K so why downgrading to HD 4:4:4:4 with the Alexa"
As a response, I invite you to come a see it for yourself at our January 20th Workshop entitled: "The Alexa workshop" where we will do what was just mentioned above. Space is limited to two groups of 4. so make sure you book your seat soon. 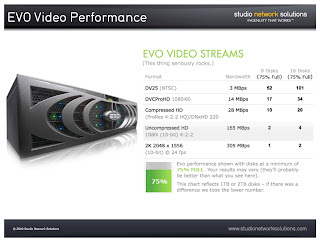 Cinedit Pictures recently got the last EVO's performance spec sheet from the Studio Network Solutions lab in St. Louis. As you can see, an 8TB base unit can easily achieve one stream of 2K images in realtime which is usually the required workflow when doing post with RED 2K images when they are being color graded. (Marquise Technologies source). With the same system at our Zurich offices last week, we were able to perform 15 streams (1 stream = 27Mb/s) of Apple ProRes (HQ) in realtime, which represents 405 Mb/s and that over iSCSI ethernet within the Final Cut Pro Suite. 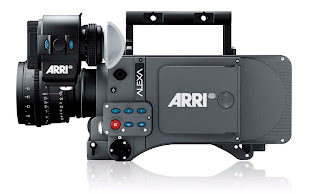 Here it is: The Alexa Digital Cinema Motion Picture Camera. Finally, we can say: "Finally". The Alexa is not your regular digital cinema camera. It definitely puts the bar way above the red. A few rental houses in Zurich carry it, including www.cinegrell.ch. That camera has a frame rate from 0.75 fps to 60 fps and a resolution of 2880x1620 which is well above our standard HD resolution of 1920x1080. It can record using Apple ProRes 422 (HQ) as well as the Apple ProRes 4444 and that on SxS cards. Or if you would like to go straight to HD SDI by using the ARRIRAW or1080PsF 4:4:4 rgB/ YcBCr HD video. What does that mean? With this "bijou" you can definitely spend time color grading in post-production without pulling you hair off your skull. Try to achieve the same look with the 5D = No way Jose. We had a few inquiries about offering an Alexa workshop. It will be done towards the end of 2010. So stay tuned for more.